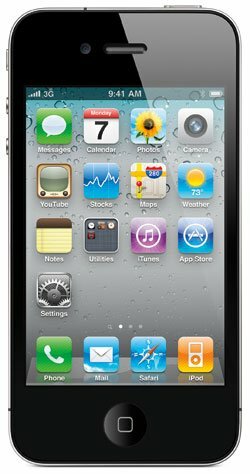 Home »General Life»Verizon iPhone 4 – Things to consider before signing up! Verizon iPhone 4 – Things to consider before signing up! Looking past all of the hysteria, there are some things that you should know BEFORE you jump on board the iPhone bandwagon. 1. The Verizon iPhone 4 is NOT 4G. That’s right. Even though Verizon Pres & COO, Lowell Macadam, began the staged event talking about how wonderful Verizon’s new 4G LTE network is, the iPhone 4 is still just a 3G phone. Personally, this is not a deal breaker since the cost of that 4G speed is a massive hit on battery use. Until they offer better performance, I am sticking with 3G (even though I have a 4G phone). Also, you cannot roam on 4G (even if it is included in your data plan) since every network (Sprint, Verizon, AT&T, etc.) have implemented different 4G protocols. 2. The iPhone 5 will be released this Summer. Apple releases a new iPhone every June. If you buy the iPhone 4 now, you will be locked into a 2-year contract. And, Verizon loves to enforce that penalty clause. The current Verizon termination fee for a smartphone is $350. Verizon has not specified the actual termination fee for the iPhone yet, but there definitely will be one even if you are just trying to upgrade. Verizon is also discontinuing its “New Every Two” upgrade program for existing Verizon customers. 3. The iPhone 4 is still the phone with the “death grip” problem. The Verizon iPhone will be CDMA to work on the Verizon network and will not also work on AT&T’s GSM network. As such, the antenna design has been modified. However, you may recall many AT&T iPhone customers complaining that if you hold the phone in a certain way, it will cause the signal to weaken and eventually drop the call. Apple continues to claim that this “death grip” was an artificial software glitch, but many iPhone customers have disputed it. Apple eventually offered a free silicon bumpers to cover the sensitive area as a “fix”. You can also find YouTube videos using a band-aid 😆 You will need to wait for real-world testing on the Verizon network to see if the death grip still exists. 4. iPhone accessories rarely go on sale. If you are an iPod user, you know this already. Apple maintains very tight pricing guidelines on all official Apple products including the iPhone and its accessories. 5. iPhone batteries are not removable. There is no such thing as carrying an extra battery to swap on the iPhone. Your only alternative is to charge it. 6. Still no Flash on the iPhone. Adobe and Apple are still at odds over Flash. Although there are a few work-arounds available, Apple can kill Flash at anytime by releasing an iOS update. 7. The iPhone is still basically the same phone that was introduced in 2007. Sure, there have been enhancements and improvements, but there is only one generation iPhone per year. No options, no alternatives other than storage size. 8. Will the iPhone still be cool if there are millions more out there? The iPhone used to be an exclusive club, very hip and trend forward. With the iPhone on both Verizon and AT&T, it will dilute the “status value” of being an iPhone owner. Would the previously loyal brand tribe stick with the iPhone when everyone seems to have it? Or, will they start looking for something new to remain a trend setter. Remember what happened to the Motorola Razr? Alternatives? Yes, Android! The smartphone has evolved quit a bit since the introduction of the iPhone. If you compare the latest Android models from Samsung, HTC, Motorola and LG, you will notice they even have a certain iPhone sleekness, directly in response to Apple’s wonder. There is even a variety of sizes, styles, options and price points. Want a real keyboard or an extra battery? No problem for Android! And, Android developers are closing the gap on iOS Apps with an estimated 300,000 Android Apps in development and over 100,000 currently in the Android Market. Today’s smartphones are really hand-held computers which can play games, stream TV/movies, take pictures/video, send email/TXT and even make the occasional phone call. But, it is still a cellphone, first and foremost. Jon Stewart is not alone in complaining about the AT&T iPhone as a cellphone. Every one of my iPhone carrying NYC friends have asked to borrow my Samsung Epic 4G at some point because their iPhone dropped a call. Wouldn’t it be funny if it’s not the network after all? ?